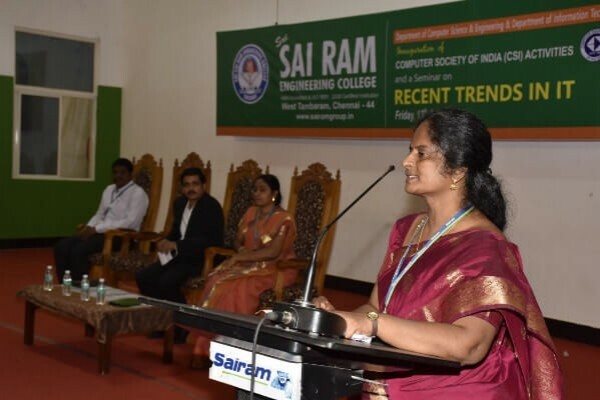 Home » Photo Gallery » The Department of CSE and IT organized the inauguration of Computer Society of India on 13th July 2018. 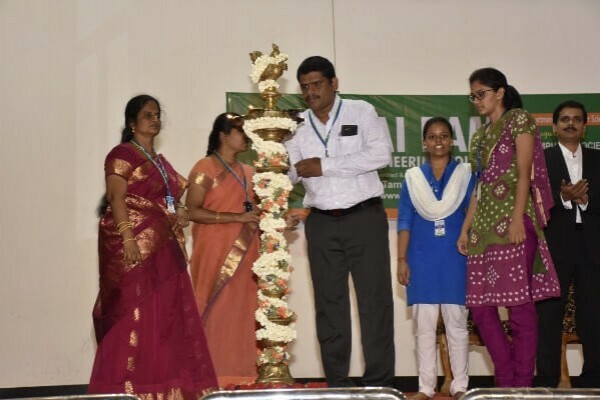 The Department of CSE and IT organized the inauguration of Computer Society of India on 13th July 2018. 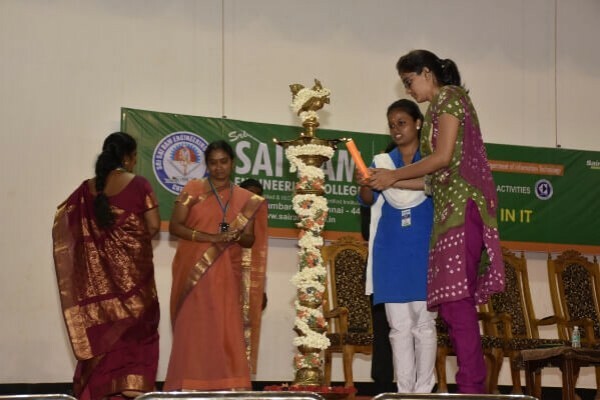 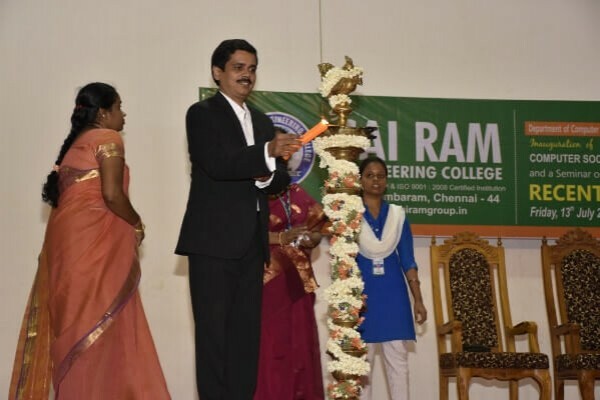 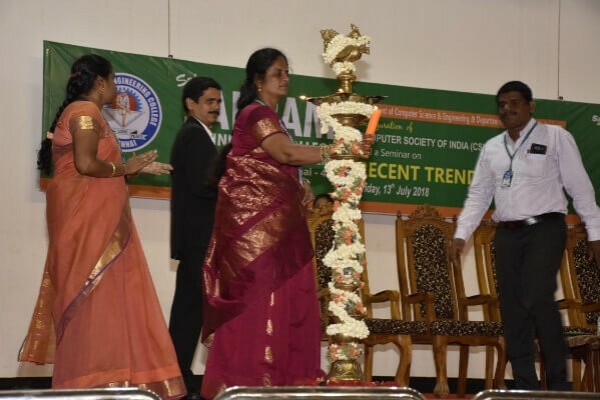 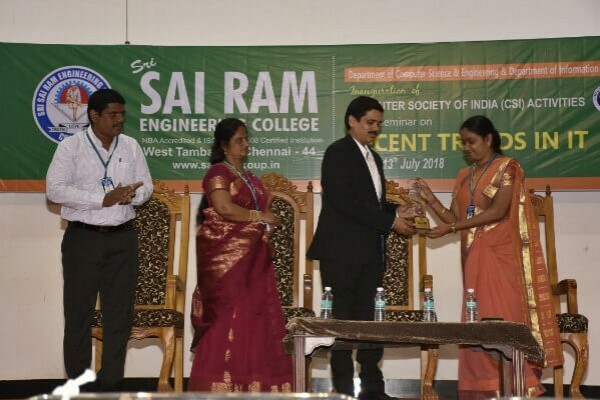 The inauguration of Computer Society of India for the academic year 2018 – 19 was held on 13th July 2018. 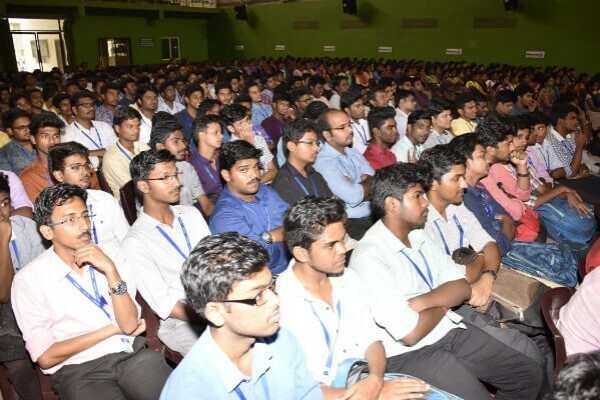 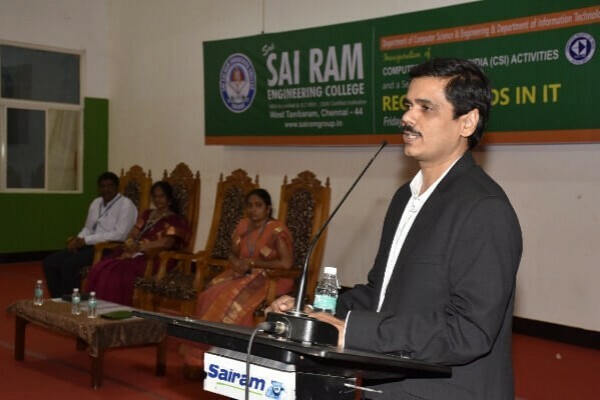 The program was inaugurated by Mr. Suryanarayanan, M.S., Associate Vice-Precident and Development Center Head, Infosys, Mahindra city, Chennai. 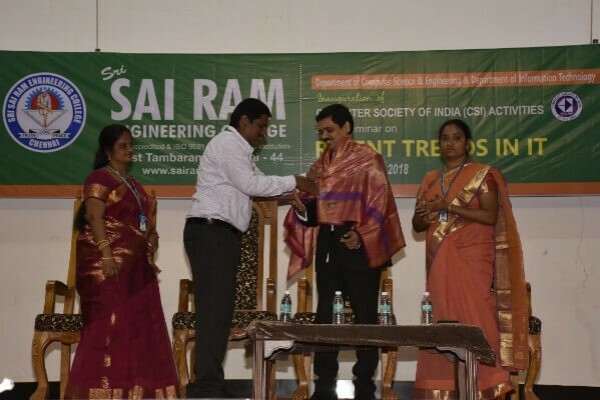 He has given a technical talk on “Recent trends in IT”.